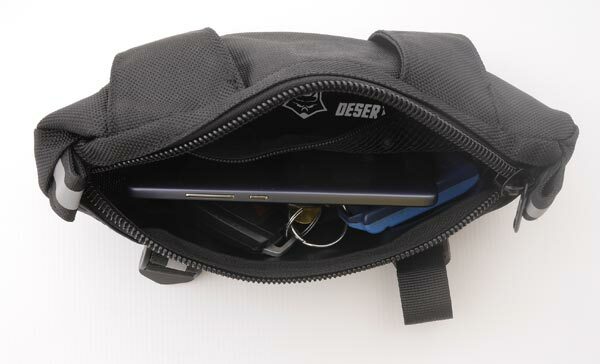 An ultra compact mini motorcycle toolkit that fits into the palm of your hand, handlebar bag or under the seat. 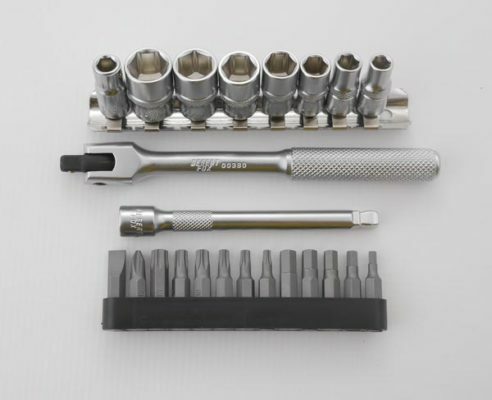 Contains sockets,bits,an extension bar & solid driver bar for most bike roadside repairs. 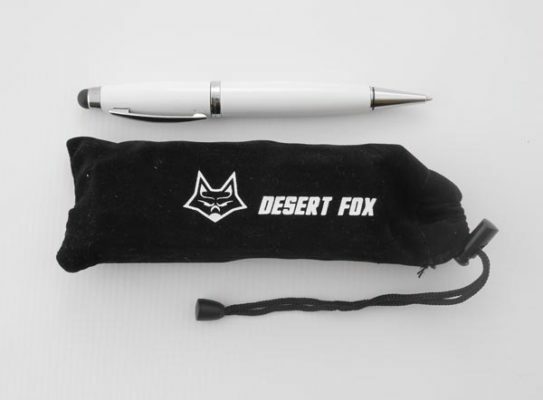 A handy, compact mini motorcycle tool kit designed to fit under your seat or in the Desert Fox Handlebar bag.Ideal for light repairs when on day rides. Being one of the most compact mini motorcycle tool kits available (it fits easily into the palm of your hand) does not mean it compromises on strength or quality. Manufactured to meet Din and ANSI Standards which ensure exacting tolerances as well as ergonomic profiles free of sharp edges. 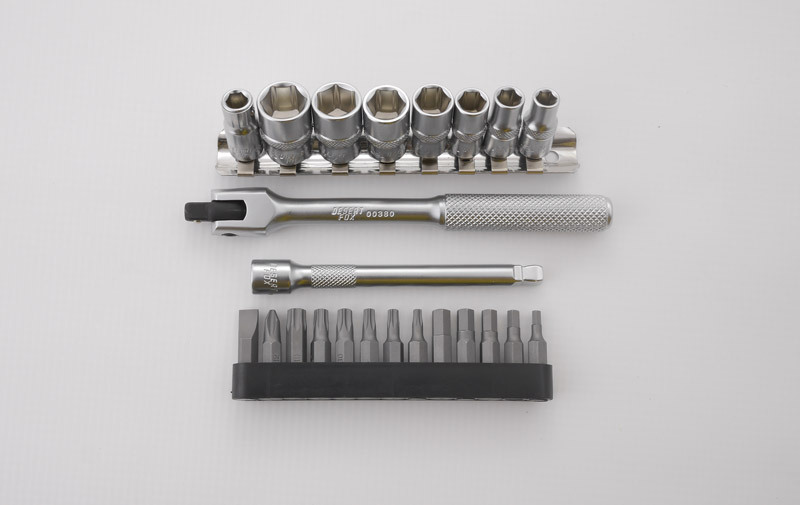 The included carry pouch has 13 hex, torx , screwdriver and Philips bits , a 1/4″ robust Drive handle, a wobble/rigid fix extension bar and 7 x Flank drive sockets (6-13mm).